Warehouse storage space is an important part of a successful inventory program. Even before you practice the FIFO methodology, you need to know where to find the materials. One way to do this is with industrial shelving units like the ones that hold the alien specimens at Area 51. Now you know that the government is going to use the best possible storage units, so why not use the same stuff for your storage needs? Industrial shelving units can be purchased in a variety of designs and structures. Whether you need storage for small items like hardware or O-rings or large items such as spacecraft pieces at Roswell or boxes of telephone records at NSA Prism, rest assured you can find the right solution. Storage units at government warehouses vary by the need. This government facility would need warehouse storage space for thousands of boxes of printouts of phone conversations. The perfect unit for this would be a racking system with drive in ability. This way a forklift driver can pull into the shelving unit, locate the box and pull it down. To take this one step further, each stored box might be encoded with a super secret code number. I’ll take box 007, please. Usually, the information is to be kept inside. 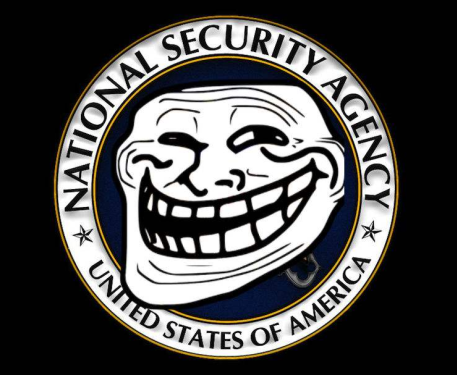 However, the Wiki-Leaks location might have a system like NSA prism. Multiple unit storage with accessibility. The boxes would be coded with a reference to their content and put away in that order. Now, anybody can find the information they require, but isn’t that what Wiki-Leaks is all about anyways? Info that should have been stuffed away but now available to all who will simply look for it? These two warehouses will be needing some very special industrial shelving units. Some of the specimens kept there are fragile and must be handled with care. So an automated retrieval system might be the way to go. To avoid the use of forklifts and damaging the materials (specimens), each one would be bar code tagged and given a specific location in the unit. The shelves could be 3 or 4 cartons deep, so a system of moving them around is needed. Automated retrieval is simple. Each box is coded with its location and assigned a number. When you want that box number, you punch it into a keypad and the rack system does the rest. Finds it, picks it and brings it down for you. As you can tell, we had a little fun with this one, but the fact is that warehouse storage space is a variable that can be adjusted according to need. Whether you are storing nuts and bolts or engines and transmissions, industrial shelving units exist that will fit your need. You may need small shelf storage that you can walk up to and pull a box down to pick the part. You may need a tall racking system that can hold thousands of pounds worth of material. Then again you might need small bin storage for hardware or completely automated racking with drive-thru ability. In any event, rest assured that you would be able to locate the proper warehouse storage space solution. In case there was any doubt, this post is tongue-in-cheek.